Although this listing is small, it’s all I could find. 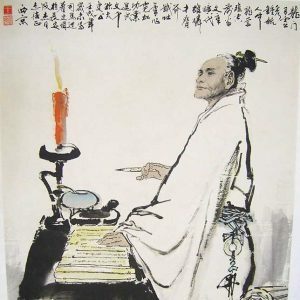 I was hard-pressed in classifying some of the podcasts, but made the decision that if a podcast is “About Chinese Literature,” then it goes in here. And if it’s a book-on-tape scenario that just doesn’t quite fit anywhere else. Some could go in here, for example, readings from the Tao Te Ching, however there are enough Taoist podcasts out there for it to have its own section. Rob and Lee Moore (no relation) kick back with a beer and tackle a work of Chinese literature, everything from the earliest Chinese poetry to contemporary novels. For those who want to learn more about Chinese society but don’t want to feel like they are being educated, this is your earcandy. Panda Cub Stories are stories told bilingually in Mandarin Chinese and English. Right now, Panda Cub Stories is retelling Journey to the West, considered one of the “Four Great Classical Novels” of Chinese Literature. The Immortal Index is A Podcast show discussing Chinese webnovel translations of Xianxia and/or Wuxia. Xianxia: a type of Chinese Martial Arts novel genre developed from the Wuxia genre that is heavily influenced by Taoism and Buddhism. Contrary to the Wuxia genre, Xianxia novels have more elements of fantasy, complete with magic, demons, ghosts and immortals. This podcast tells the classic Chinese novel Romance of the Three Kingdoms in a way that’s more accessible to Western audiences. Check out our website for supplemental material such as maps, transcripts, and graphs of key characters and relationships. This is Book-on-Tape, so no new episodes come out; but the full book is here. The Analects, or Lunyu, also known as the Analects of Confucius, are considered a record of the words and acts of the central Chinese thinker and philosopher Confucius and his disciples, as well as the discussions they held. Written during the Spring and Autumn Period through the Warring States Period (ca. 475 BC – 221 BC), the Analects is the representative work of Confucianism and continues to have a substantial influence on Chinese and East Asian thought and values today. A treasure trove of wise and pithy sayings, reflections on education, family values, the ideal human being, life and living, politics, art, culture and timeless wisdom, The Sayings of Confucius is indeed an invaluable addition to your bookshelf. Ever since Chinese literary works first began to be translated into European languages, the works of the legendary Chinese philosopher and teacher Confucius, who lived in present day Qufu in the Shandong province of China, more than two thousand years ago, have held universal appeal. He was a teacher, philosopher, editor, mentor and politician who lived at some period during 776-476 BC and is credited with editing and writing many texts and treatises. However, he is best known for his Aphorisms or Sayings. These are compact, perceptive and often witty sayings, which were compiled in a volume of Analects long after his death. But in ourselves, our triumph and defeat.